This cute yellow, green and hot pink pineapple tutu is perfect for an aloha birthday or tropical theme special occasion. This fun pineapple inspired tutu features yellow, green and sparkle gold tulle. 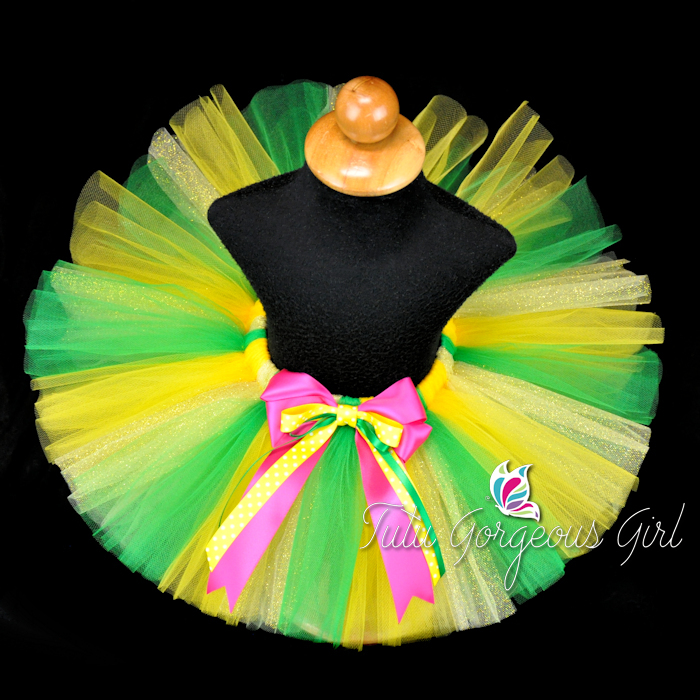 Tutu includes a hot pink, yellow and green layered bow clip at the waist. Perfect for a girl's pineapple birthday tutu, tropical birthday tutu, or aloha Hawaiian birthday tutu.